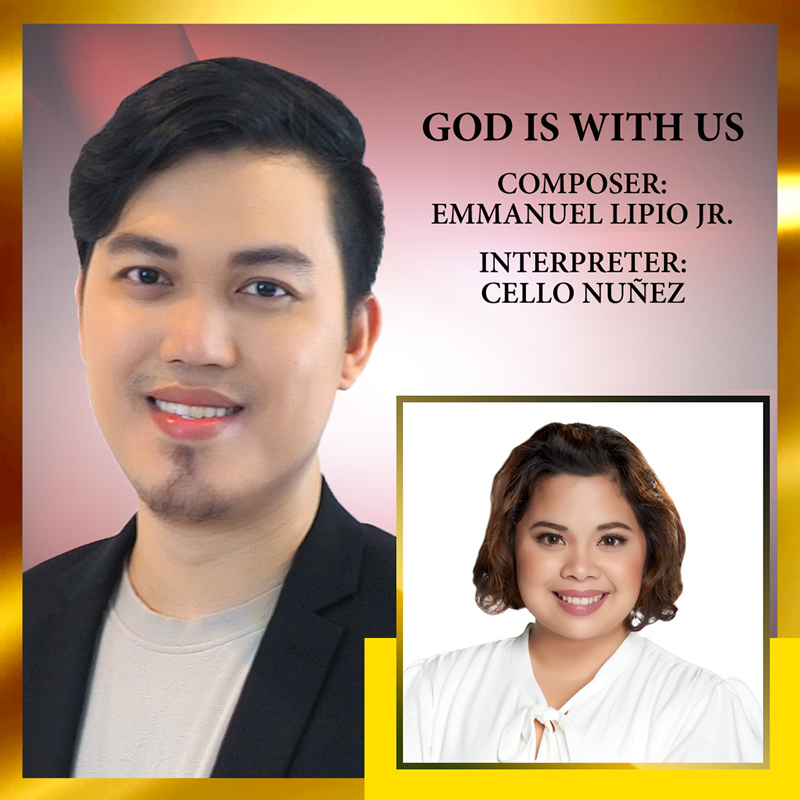 Finding solace in God’s reviving presence, Emannuel Lipio penned his soul-stirring gospel composition “God Is With Us”. After reflecting on God’s overwhelming love and what he has given back for the bounty of blessings in his ASOP Year 6 gospel song entry entitled “Sapat Na Ba”, the former grand finalist took loneliness and longing for home and turned them into a hope-filled, soul-soothing gospel hymn. Working as a civil engineer in Singapore for five years, the songwriter further reflects on his faith over all the difficulties of being far away from home — a life that can be lonely at times. After his work and during his free time, he would start composing his song, echoing his heart-rending sentiments. As the song strikes a chord in one’s heart, the gospel song delves deep into God’s love despite one’s troubles, struggles, or even doubts on His presence. With her soothing vocals, interpreter Cielo Nuñez is set to deliver a moving rendition of the song.